Natural rubber (NR) consists of polymers of the organic compound isoprene, with minor impurities of other organic compounds plus water. Natural rubber is commonly used for dynamic or static engineering applications and an ideal polymer for the production of custom natural rubber molding, custom natural rubber molded parts and custom molded extruded parts including U channels, tubing and cord, hollow extrusions, sponge and more. Advantages of Natural Rubber material include large stretch ratio, longer shelf life and high tear and tensile strength. 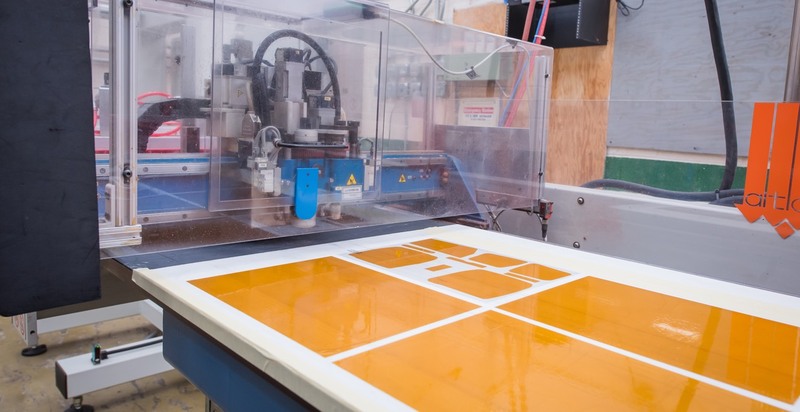 CFS uses different die cutting methods, such as water jet cutting, to produce die cut Natural Rubber gaskets in different grades, thicknesses, and hardness. Our team at CFS has the expertise and skills to provide custom molding and extrusions to meet your Natural Rubber molded part needs. Whether you need help prototyping and designing a part or already have a working blueprint, we ensure that you will have a quality finished product on time. To learn more about our custom extrusions and molding using Natural Rubber, please contact us today.